There's nothing quite like a long soak in the bath with a glass of fizz to make you feel like the ultimate queen, am I right? Well what if I told you a product now exists to make that luxury even more extra? Well that day is here: you can now buy prosecco bubble bath and we couldn't be more here for it. The best bit? No fuzzy head or regrets, YAS! With the worrying revelation that prosecco rots our teeth still painfully fresh in our minds, allow me to bring you some news that will definitely soften the blow. You can now get your fizz fix while you wash - with no dentist trip necessary. 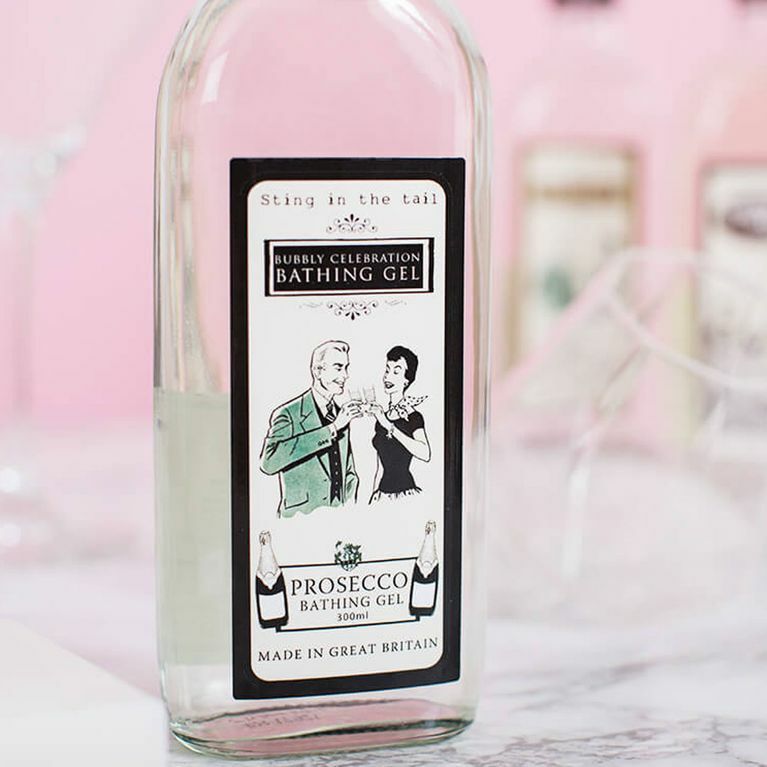 Meet the booze-inspired product we never knew we needed: prosecco bathing and shower gel. It's the perfect way to satisfy your need for bubbles minus the headaches or hangovers. There we were thinking our prosecco obsession had peaked at edilble prosecco flavoured nail varnish, but we should have remembered that this is 2017, the year of unicorn tear gin and Ikea jockstraps. Basically, anything is possible. The brains behind this ultimate basic b*tch essential is online gift retailer Prezzybox who are selling the bubbles for a bargain £8.99. The bathing gel smells just like a glass of fizz, and comes in 'a luxurious and stylish vintage bottle that holds 330ml of pure indulgence'. You can use the gels in either the bath or shower depending on which you prefer, making for the perfect pre-lash treat to get you in the mood for a night out on the (actual) fizz. If the thought of bathing in a potent bath of prosecco for hours fills you with fear of getting a stern telling off from the boss the next day, don't worry, 'cos this product is only prosecco scented and doesn't contain any actual alcohol, so you won't end up drunk. Not unless you end up guzzling a bottle of the real stuff after your dip but we're not here to judge.